Sacred Harp music takes its name from a series of American tunebooks called The Sacred Harp. It’s participatory, non-instrumental, choral music that anyone is invited to sing — there is no rehearsing for performance — with strong roots in the early music of New England and the deep South, and which has spread throughout the United States and to Canada, Europe, and Australia. The Sacred Harp uses a system of musical notation, called shape notes, that allow even relatively new singers to sing tunes at a first reading. Singers typically sit in a square, by parts, and everyone is invited to lead from the center of the square. 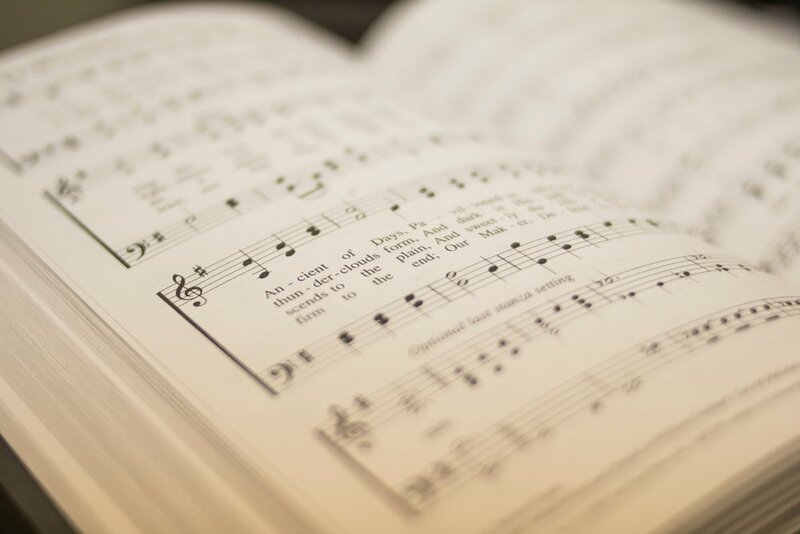 If you’re not religious, or Christian, worry not — people from many traditions (and lack thereof) enjoy this music for its power and depth and for the joy of singing together.